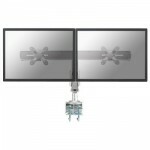 The FPMA-D940D is a desk mount with gas spring and 3 pivots for 2 LCD/TFT screens up to 24" (60 cm). 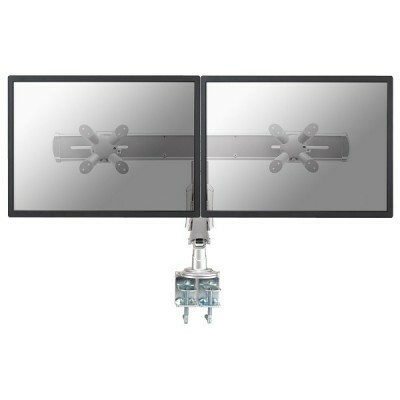 The NewStar desk mount FPMA-D940D allows you to attach 2 LCD/TFT screens up to 24" on a desk. With this mount you can easily swivel, tilt and rotate the monitor. Each arm has 3 pivots. The height adjustment of 42 cm can be changed with a gas spring. The desk mount can hold screens up to 7 kg and is attached on a desk by a clamp. Additional you can order a grommet to install the desk mount through a desk. The arm lenght is 48 cm.